After a ridiculously long 3 year waiting period, Travis Scott has finally released his new album Astroworld. This project is named after Six Flags’ Astroworld, an amusement park that used to be a Houston landmark. The park was regularly attended by Scott as a child until it was closed and demolished in 2005. Scott has mentioned that he wants this new album to sound like “taking an amusement park away from kids”. He then went on to say “We want it back… That’s why I’m doing it. It took the fun out of the city”. Travis Scott has been a figure in the hip hop scene for about 6 years now, gaining prominence and notoriety from everything to the vibes and atmosphere he brings on his tracks, to the wild live performances that he is quite proud of. He is known mainly for his popular tracks including “Antidote”, “Butterfly Effect”, and “Goosebumps”. Now that he is finally in the mainstream eye, it is time for Travis Scott to deliver another progressive new album that sees him discussing new topics and continuing his experimental style. Let’s dig in and see what he has given us this time around. The Good: During my first listen through this album, I was absolutely amazed at how well-produced and well-thought-out each song was. The production was absolutely beautiful and contained quite a bit of variety, and each track flowed together really well. Travis fit very well over every beat on this project. The features were perfect as well and didn’t outshine Travis, they only added value to each song. The Bad: Even though every song is very good and fun to listen to, the project isn’t perfect. I don’t see too much of a theme so far, even though this project is billed up to be “a look at what goes on inside Travis’ mind”. Maybe this will change with more listens, but right now I don’t see the concept very clearly. The Good: If you’ve listened to or even heard of Travis Scott before, it is quite obvious that he isn’t exactly known for being the best lyrical rapper. But on this album, we hear him use different flows from his usual couple that we’ve heard quite often. We also hear him discuss new topics that we’ve never heard him speak on before. Topics such as his love life, his daughter, and things that he has experienced in his life are high points of this project. 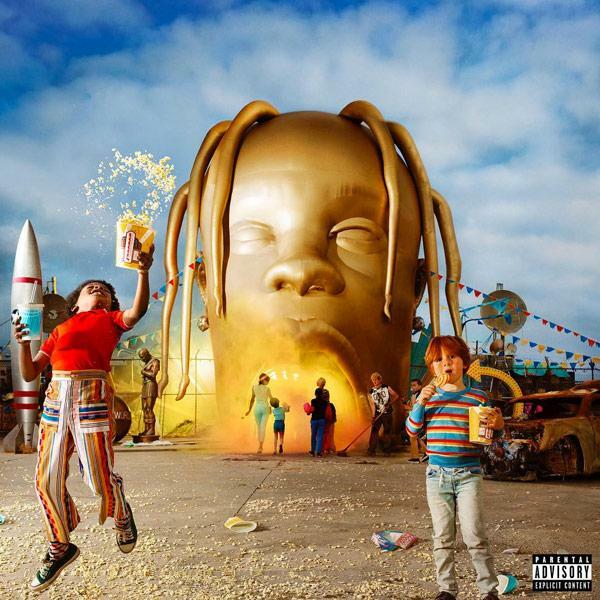 Some of these introspective and deep tracks on this project that bring out Travis’ best side are “STOP TRYING TO BE GOD”, “COFFEE BEAN”, and “ASTROTHUNDER”. The Good: In case you didn’t realize this at any point over the past 6 years of Travis releasing music, he is an amazing producer himself and also works with amazing producers. The beats on this album are where it shines the most, and that is no insult to Travis’ or any of the featured artists’ lyrics. The beats are seriously that good. There are so many layers to all of them, along with a crazy amount of beat switches on different tracks. This project will keep you on the edge of your seat while listening, purely by the anticipation of what the next track will sound like. Some of the producers that contributed to this project include Travis himself, Hit-Boy, 30 Roc, CuBeatz, Sonny Digital, Tay Keith, Mike Dean, and WondaGurl. The Good: As I mentioned before, this is an album that contains a lot of sound variety. There is something for every mood and setting; from partying, chilling, raging, etc. It’s the full package in that regard. There are things that we have never heard from Travis before and we hear him being experimental and being true to himself. This album is definitely one you’ll want to listen through in its entirety more than once. This is always the hardest part of a review, especially when you have such an amazing album like this one. If I had to choose the tracks that stand out from the rest, they would have to be “SICKO MODE”, STOP TRYING TO BE GOD”, “ASTROTHUNDER”, and “R.I.P. SCREW”. We see Travis at his most ambitious on these tracks; switching beats, covering new topics, and dropping new flows. I’m going to say this right now, Astroworld is not perfect. But I’d be lying if I say that it isn’t 100% what I wanted to hear from Travis Scott after his lackluster 2016 sophomore album Birds In The Trap Sing McKnight. On this new project, we hear him at his most experimental since his mixtape days. He stays true to himself in every way and shows growth and maturity by talking about his personal life and struggles that he has had, all while making it sound incredible. This growth and maturity is always important for any genre of artist, but it seems especially important for hip hop artists. The album does suffer a little bit from the use of similar concepts, song structures, and beats reminiscent of his last few releases, but this isn’t nearly a big enough problem to warrant a bad final score. Just by listening to this project, you can tell that La Flame really pushed the artistic envelope and truly gave it his all, while also creating tracks that fans of his old work will love too. I won’t say that Astroworld is an instant classic, but I do believe that it is on the same level as his stellar debut album Rodeo, if not slightly better. Rodeo has stood the test of time and still sounds as quality as the day it released, and I believe that the same will be true for Astroworld. This is an absolutely amazing project and definitely one of the top 3 hip hop releases of 2018.